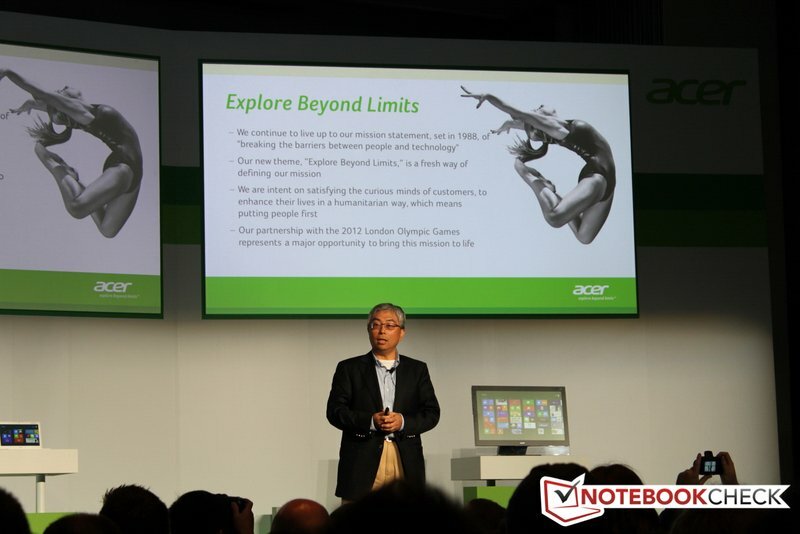 Computex 2012 started with a bang today as Acer helmed its conference with new Windows 8 offerings and a new corporate focus for an ailing company trying to get back on its feet. 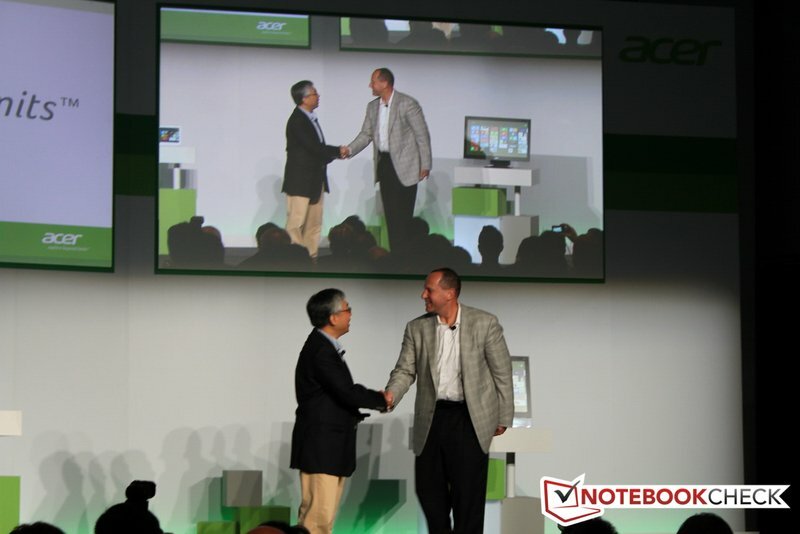 Acer’s head hancho Jim Wong appeared onstage and reaffirmed the audience that Acer is, first and foremost, a computer manufacturer and will remain as such. “Explore Beyond Limits” will be the company’s new slogan from now on. 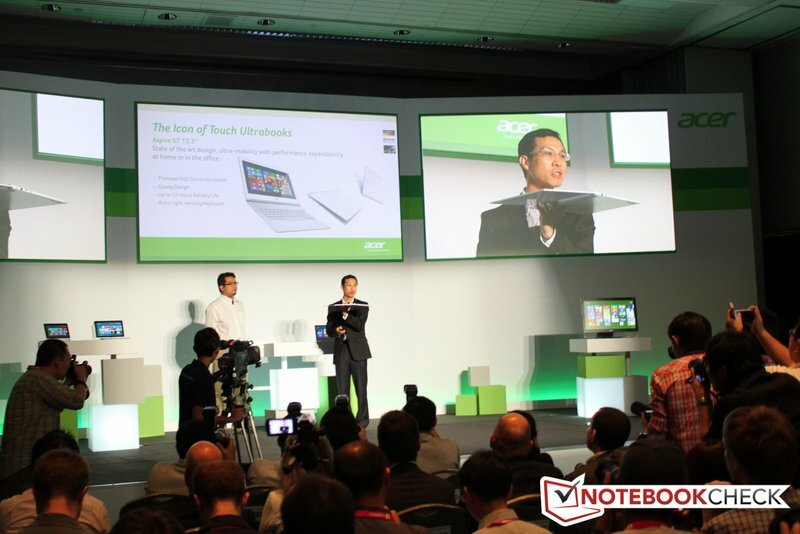 After the optimistic speech and outlook, Acer presented a few of their latest gadgets. 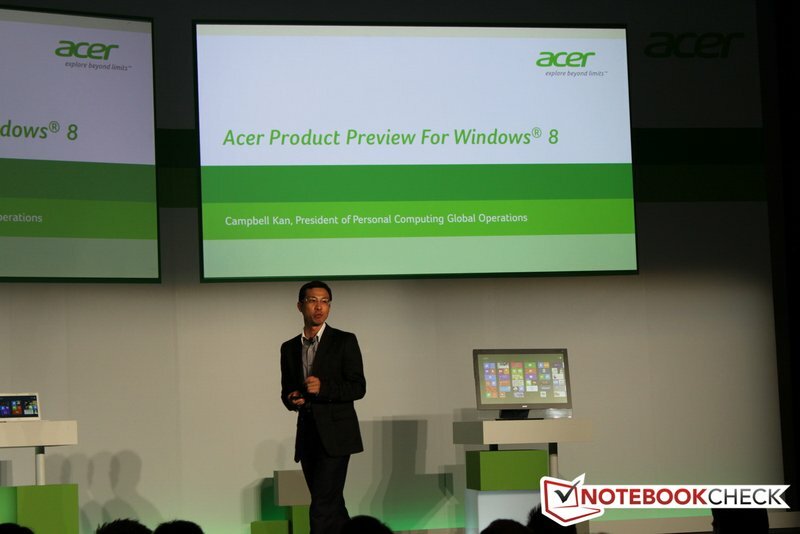 Similar to Asus, the new products will focus around Windows 8 and will host a wealth of new innovations. 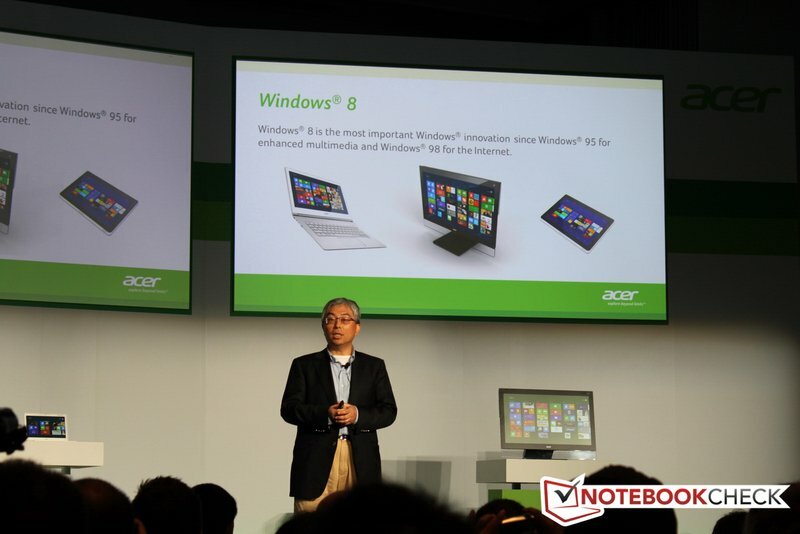 In fact, Wong calls Windows 8 “the most important Windows innovation since Windows 95” in terms of providing multimedia and internet usability to consumers. 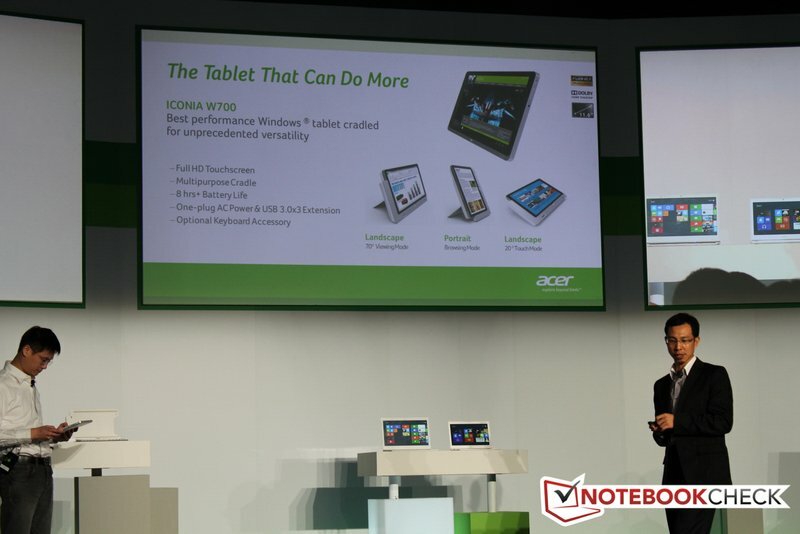 Iconia W510: Multifunctional Tablet with three operating modes: Tablet mode, Productivity (Slate as Asus Transformer) and presentation mode can be tilted, much like the Lenovo Yoga . 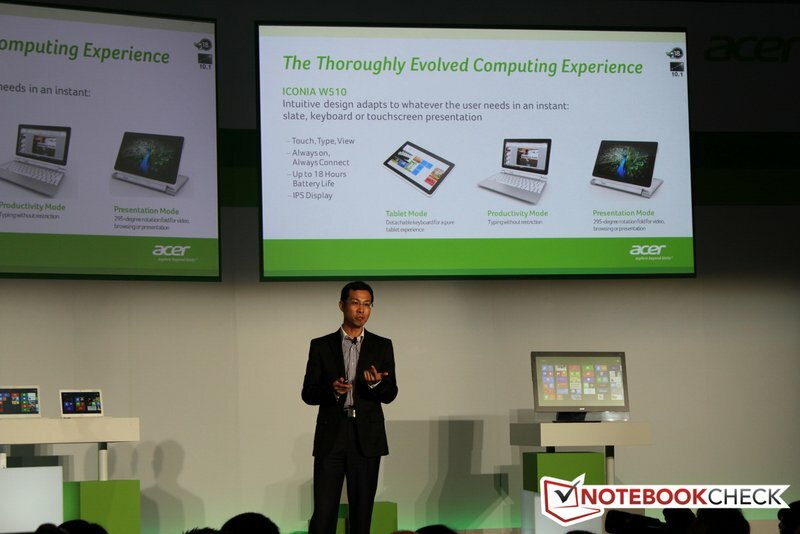 Key Facts: Tri-Mode IPS touch screen, 10.1 inch , 1366 x 768 pixels , 18 hours of battery life with a dock, 9 hours for the tablet, Windows 8, Intel ULV - CPU. 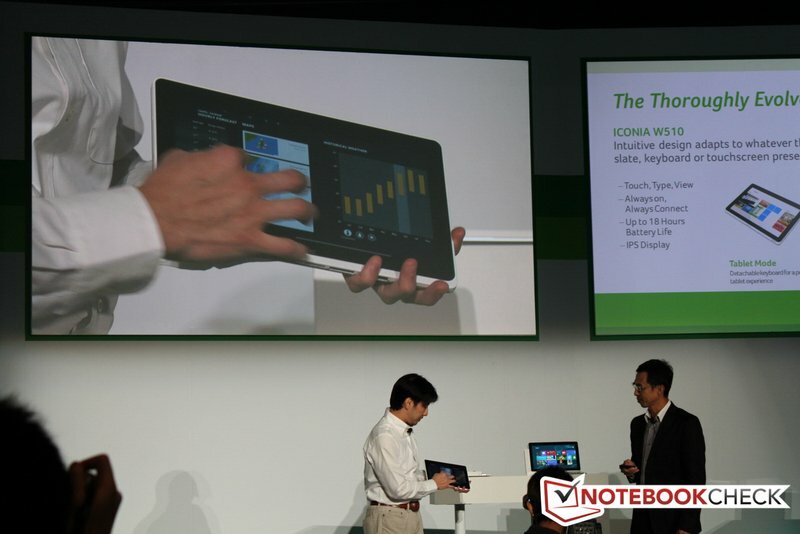 Iconia W700: high-end tablet with 11.6 - inch display-FHD, IPS, 8 hours of battery life, optional dock for desktop use, landscape and portrait format, Intel ULV - CPU , 10-finger touch. 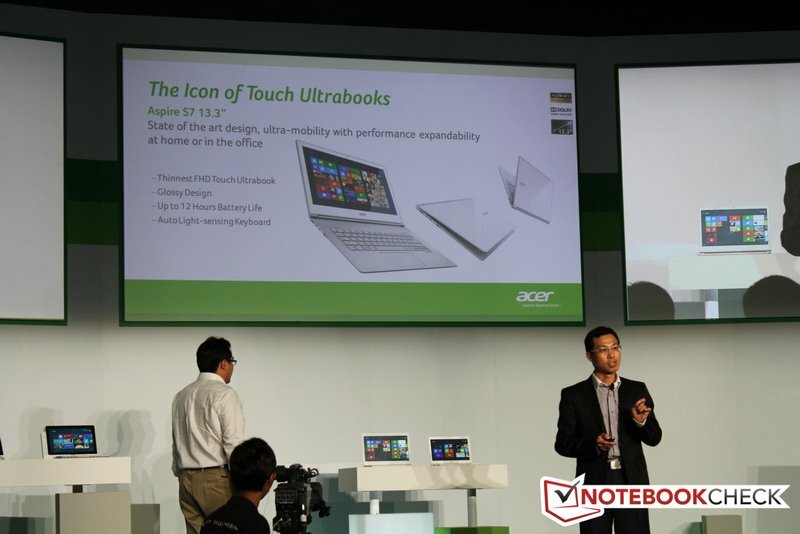 Aspire S7 13.3 inches : Full HD display (glossy), IPS screen, 12 mm thick, 12 hours of battery life, proprietary design (unique hinges and weight distribution), tilt at touch operation, approximately 1.2 kg, 180° opening possible to display the outside glass finish, backlit keyboard, Ivy Bridge ULV - CPU , Windows 8. 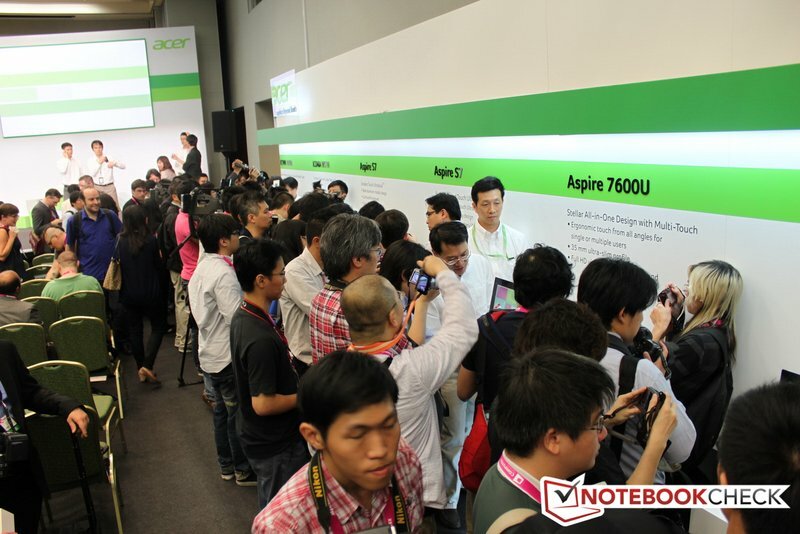 Acer Aspire S7 11.6 inches : Ultrabook with magnesium shell and aluminum base, 12 mm thick, approximately 1 kilogram, Ivy Bridge ULV - CPU , Windows 8, FHD Display (IPS viewing angle quality), Prototype uses a matte display. 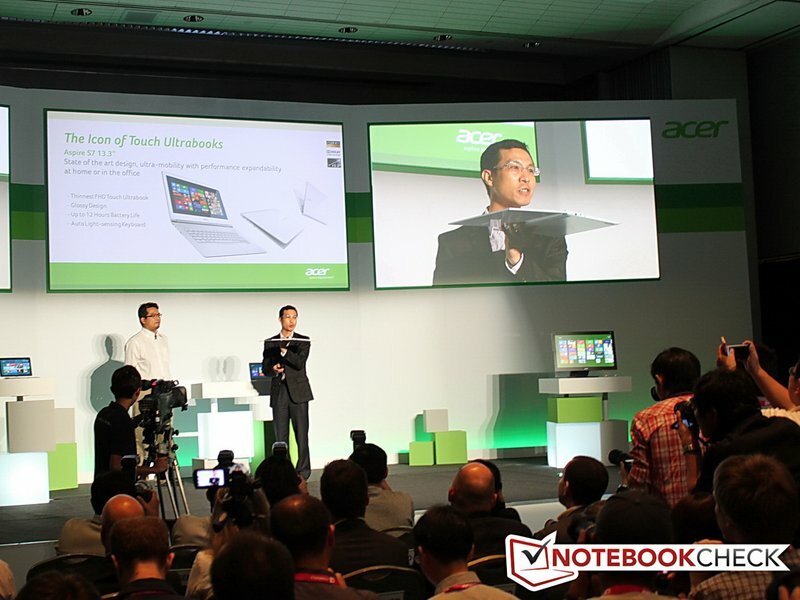 The preproduction models appeared to be high quality and very stable and even more similar to the unibody design of the Asus UX series than to Acer’s own Ultrabooks released thus far. 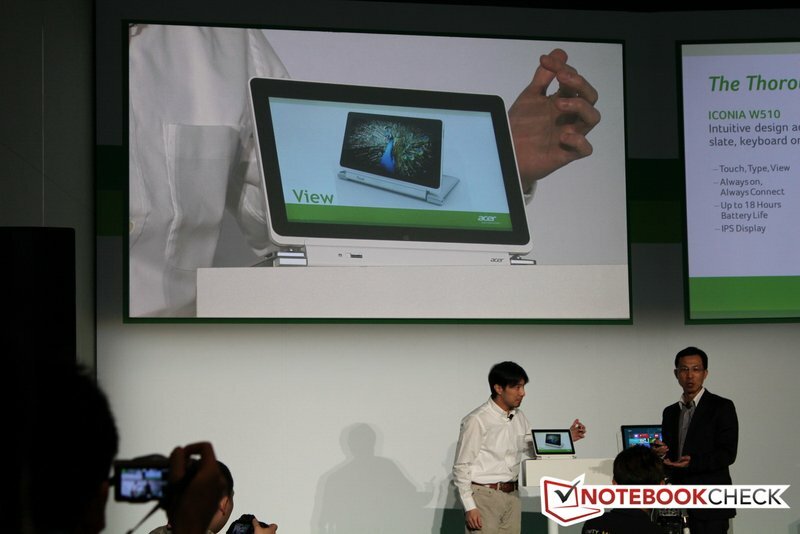 The demonstration of the touch functionality on one of their tablets worked very well throughout, but the tablet had a tendency to accidentally tilt or rotate the screen quite often. 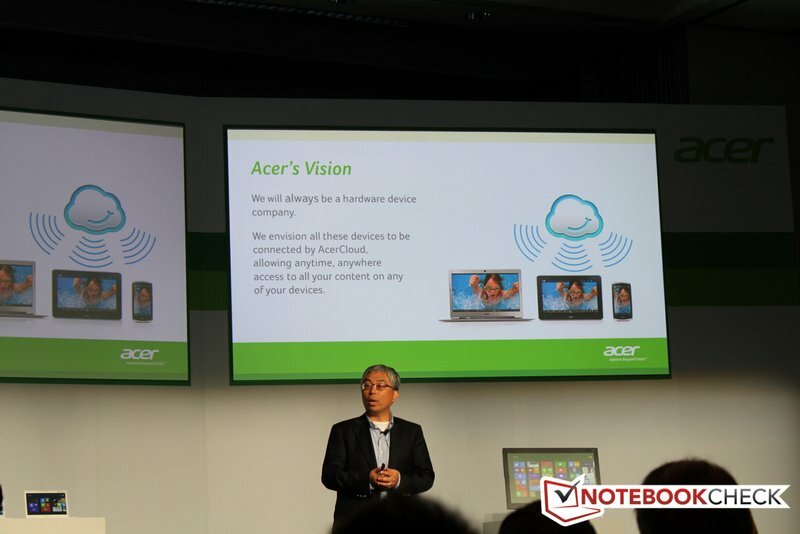 Exact prices and release dates are still up in the air, but Acer expects to launch these products sometime before the end of this year and after the launch of Windows 8.